I read this article and found it very interesting, thought it might be something for you. The article is called India’s Surprising States With ‘Real’ Fiscal Deficits: West Bengal, Kerala, Punjab & Haryana and is located at https://archive.indiaspend.com/investigations/indias-surprising-states-with-real-fiscal-deficits-west-bengal-kerala-punjab-haryana-87184. The Government of India’s fiscal deficit touched 5.9% of GDP in 2011-12. But most states of India actually do better except for a few whose finances are in particularly bad shape. Remember that states do not bear large subsidy burdens that the Centre does or bankroll as many schemes. But the state’s own balance sheets are in poor shape, not as much for what they are today but the fact that they are becoming weaker and weaker in their ability to build a strong future for their citizens. And a fiscal deficit number, used frequently to assess a Government’s (Centre or state) balance sheet health may not be the best indicator. IndiaSpend’s Dhritiman Gupta discovers how low fiscal deficit states are actually worse off than states which may have high fiscal deficits but are spending more on physical/capital assets today than, for example, fighting the fires of paying salaries & pension bills. So states who have most worrying composition of fiscal deficit as evident from our study: West Bengal, Kerala, Punjab and Haryana and Goa (Table 2). Let’s illustrate this. Take an example of a state that earns Rs 100 in tax and non-tax revenues. Let’s assume that in paying salaries, pensions, interest and other expenditure it spends Rs 120. This state will thus have a revenue deficit of Rs 20. Now assume the state takes annual loans of Rs 100 for investment in projects and such. Then the fiscal deficit of the state will be Rs 120. Now of this deficit of Rs 120, only Rs 100 can be considered ‘productive’. Note that in many states, including in Uttar Pradesh and Bihar, this ‘productive’ Rs 100 is actually much higher and is more likely to lie between Rs 130 and Rs 150. Another point to note is that the composition of fiscal deficit has deep implications for the indebtedness of the state. For a chronic revenue deficit state, it is natural that the investments would be low if the fiscal deficit has to be kept in check. The result would be accumulation of debt which the state would find difficult to repay given lower productive assets due to lower investment; a sort of a vicious cycle. The first step thus would be to correct revenue imbalances. First let’s look the fiscal deficits as percentage of Gross State Domestic Product (GSDP) of the non-special category states before going into its composition. The states have been ranked from worst to best on basis on 2011-12(BE) figures. Goa leads the pack of states with a fiscal deficit of 4.8% in 2011-12(BE), followed by Punjab at 3.8%. The worst 5 (top five in the table) states were expected to have a fiscal deficit of 3% and above. The next 11 states, which include the likes of Bihar, Uttar Pradesh and West Bengal, have kept the figures below 3% by the estimates. Only Maharashtra managed to keep fiscal deficit below 2%; 1.9% to be precise. The surprise state is, however, West Bengal with a figure below 3%. But the performance can be better judged only when we look at the composition of the deficit. It is quite apparent from the table that the states which have registered surplus on the revenue account have much more freedom to invest more and yet keep the fiscal deficit under control. Let’s take for example Uttar Pradesh. It just ranks behind Maharashtra in terms of fiscal deficit at Rs 18,900 crore in 2011-12 (BE). Of this deficit, capital outlay accounts for Rs 24,300 crore. This is possible because Uttar Pradesh has a revenue surplus of Rs 5,600 crore. The story of Andhra Pradesh, Karnataka, Bihar and Jharkhand are similar. Now let’s consider West Bengal. It is estimated to have a fiscal deficit of Rs 15,500 crore in 2011-12(BE). Of this revenue deficit is Rs 8,300 crore. Capital outlay is way behind at Rs 6,800 crore. The story has always been so. In 2010-11, with a fiscal deficit of Rs 21,000 crore, revenue deficit was to the tune of Rs 17,200 crore. Capital outlay was only Rs 3,600 crore. 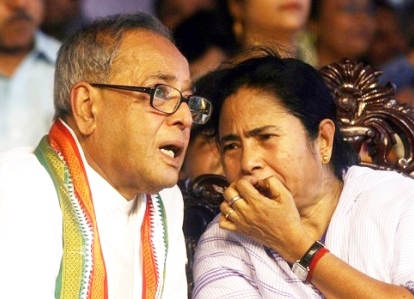 Mismanagement of revenues has constrained Bengal’s chance to invest and grow. The story of Punjab, Haryana and Kerala are similar to Bengal. Tamil Nadu, Maharashtra and Gujarat have been revenue deficit states in 2009-10 and 2010-11. They are slated to post surpluses in 2011-12(BE).It can be seen that with this better management of revenues all three states are expected to reduce fiscal deficit in 2011-12 even while hiking their investments. Maharashtra’s fiscal deficit is expected to fall to Rs 22, 800 crore in 2011-12 as against Rs 25,000 crore in 2010-11. At the same time its capital outlay will increase from Rs 18, 800 crore to Rs 22,400 crore. This is because it wiped off revenue deficits of Rs 5,600 crore in 2010-11 and registered surpluses. To make matters even simpler let’s consider (Table 2) in percentages the composition of fiscal deficit. Let’s keep the ranking in the Table 3 unchanged. The columns pertaining to each year should ideally add up to 100%. It does not because we have left out net lending. Net lending is sizable only for Madhya Pradesh, Punjab and Jharkhand. For other states the sum will be very close to 100%. Let’s take the revenue deficit economies. In 2009-10, 86% of fiscal deficit of West Bengal was due to revenue deficits. The figure was 85% for Punjab and 64% for Kerala. It is no surprise thus that investments were very low. Bengal reduced its share of revenue deficit in fiscal deficit to 82% in 2010-11 and is expected to reduce it further to 53% in 2011-12. Punjab has done a better job by reducing that percentage at a faster rate, the figure being 42% in 2011-12(BE). Kerala however has been unable to reduce the percentage fast- the figure reducing only to 64% in 2009-10 to 53% in 2011-12(BE). These states have to go far to register surpluses and hence free themselves from the straitjacket. On the other hand states like Bihar, Madhya Pradesh and Uttar Pradesh have done well. All these states have been revenue surplus economies over the 3 years and hence have been able to hike investments. Having a revenue surplus of 101% of fiscal deficit Bihar can hike its investments to account for 184% of the fiscal deficit in 2011-12. For Uttar Pradesh 128% of the fiscal deficit will be due to investments. For all these states more than 100% of the fiscal deficit is accounted for by investments in all the 3 years, given the leeway they have been able to provide themselves by good management of revenues. The story for Maharashtra, Tamil Nadu and Gujarat run along similar lines. These states are expected to start better revenue management in 2011-12. Till now they have been posting revenue deficits. But things are expected to change in 2011-12. 99% and 98% of fiscal deficit of Gujarat and Maharashtra respectively will be due to investments in 2011-12. As we argued earlier, a high fiscal deficit in itself is not a cause for concern. But a high deficit which is funding all kinds of past expenditures or payrolls is worrying because the future looks bleaker. If you wanted to pick which state to retire in 10 years from now, this is one table that should help you do that. # Net lending left out as it forms a minute portion of fiscal deficit. Hence, revenue deficit and capital outlay may not add up to the total fiscal deficit.